The man who assassinated Russian ambassador Andrey Karlov is "obviously" a member of the Fethullah Gulen Terrorist Organisation (FETO) Turkish President Recep Tayyip Erdogan said, citing the killer’s background and connections as "proof". “The assassin of the Russian ambassador is obviously a member of FETO. There is no need to hide it,” Erdogan said during a press conference with his Albanian counterpart. “Where he grew up, and all connections reveal this [FETO membership],” the Turkish leader added. Erdogan said that the assassin’s international links were being investigated by the Turkish National Intelligence Organization (MIT). On Tuesday, a day before Erdogan’s remarks, Turkish Foreign Minister Mevlut Cavusoglu told his US counterpart John Kerry via telephone that followers of the fugitive cleric Fethullah Gulen had been involved in the assassination of the Russian envoy. 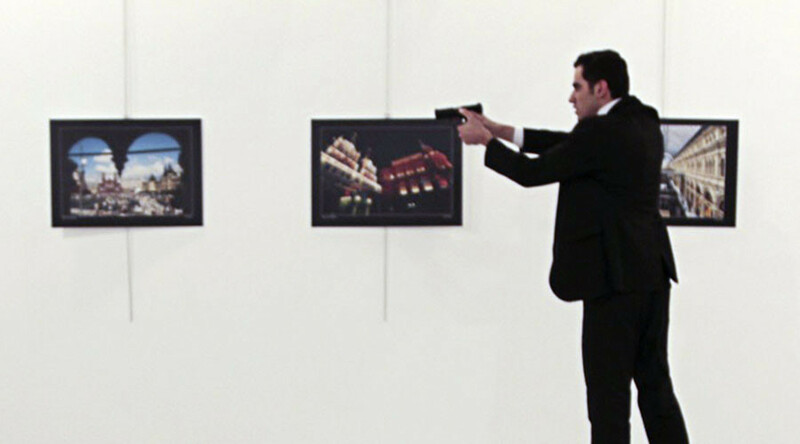 Ambassador Andrey Karlov was shot and killed during a speech at an exhibition in Ankara on Monday by Mevlut Mert Altintas, a Turkish police officer. A total of 12 suspects have so far been arrested in connection with the assassination. 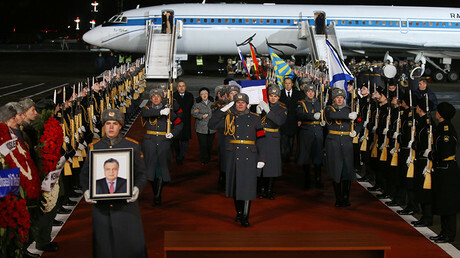 The chorus that links FETO with the Russian diplomat’s murder is growing louder, with some sections of Turkish media pointing to possible Gulenist links to Karlov’s murder. Hurriyet columnist Abdulkadir Selvi, claimed soon after the attack that the outlawed group was likely behind the murder of the Russian envoy. In his column, Selvi said questions should be asked about who ordered the assassination and who helped the killer. Selvi also said “a force” was not permitting Turkish-Russian relations to develop. Altintas was a regular part of President Erdogan’s security detail during public events, according to Selvi, and took a day off during the July 15 failed coup attempt, widely believed to have been masterminded by the Gulenists. “The schools and courses that he went to, his family data display his FETO connections,” Muharrem Sarikaya from the daily Haberturk also wrote. On the night of the assassination, Sarikaya claims police apparently shot him dead because they thought he might have been a suicide bomber. Altintas was allegedly involved in an investigation into FETO in 2015 and participated in the meetings of the Gulenists in the western province of Izmir, according to a report by Fevzi Kizilkoyun in the Hurriyet. Fethullah Gulen, the 74-year-old cleric, was a popular preacher and a staunch ally of Erdogan when the Turkish leader was rising to power, but the two fell out and have become bitter rivals. Ankara says that Gulen created a “parallel state” in Turkey in the form of a network of supporters among Turkish officials, and accuses him of masterminding the failed military coup in July.